March is Archaeology Month! 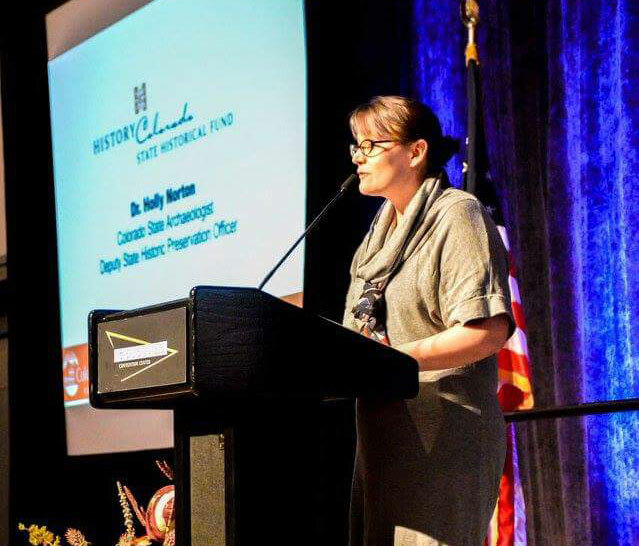 To celebrate, the Fort Garland Museum & Cultural Center presents Dr. Holly Kathryn Norton, state archaeologist and deputy state historic preservation officer for History Colorado. She'll present a synopsis of archaeological research at the fort, along with new findings. Dr. Norton has recently analyzed material collected from archaeological research conducted over the past several years.The fort was in operation for 25 years, a long time for a frontier fort, and the archaeological record gives us insight into the lives of the people who lived there. Refreshments provided. This event is partially funded by the Sangre de Cristo National Heritage Area. The event will be held in the Fort Garland Mess Hall. Parking is in the back of the museum. Please call 719-379-3512 with any questions.